The energy was amazing today for our first full day in Kona. 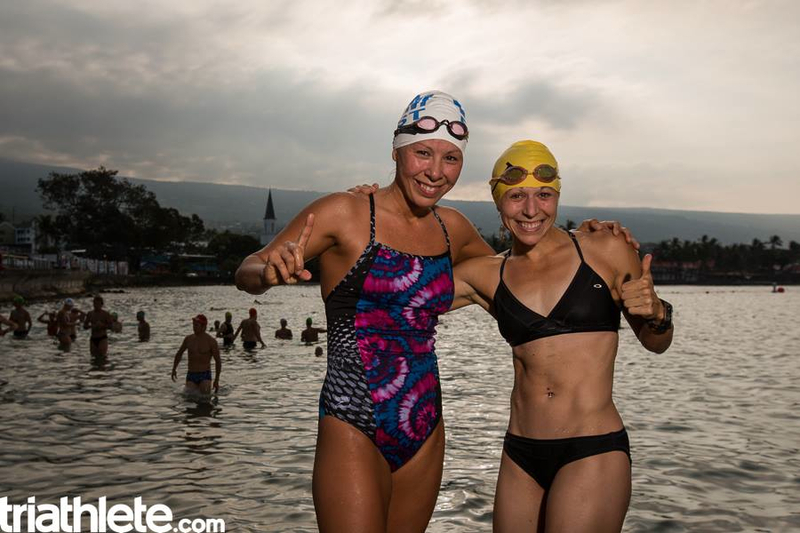 We started the day with an beautiful swim at Dig Me Beach and got some great shots by Triathlete Magazine. This swim course alone is worth the trip! The positive energy was flowing all day as we ran into old friends and met up with some new ones. Saw some of my Wattie Ink Teammate that are racing. This got me thinking about how important it is to keep a Positive Mental Attitude. I firmly believe that positivity begets positivity and likewise, negativity begets negativity. Thus the topic for Kona Mental Skill Tip #2: Stay Positive. When I say, “stay positive,” I don’t mean that everything should be rainbows and sunshine, head in the clouds…No. That’s not life. Life is a mental balancing act and the goal is to try to stay as balanced as you can in your mind and body this week. Think of your thoughts like a scale. Do you notice the difference between the first and second statement. Hopefully you do, and if you said these to yourself which would feel better, probably the second one. Plus may I remind you that you are not a mind-reader and you do not have a crystal ball so in all reality NO ONE knows what Saturday is going to be like until Saturday comes. Give yourself a break a stop fortune telling negativity for Saturday. Today you are 4 days out from race day and that is not where you need your mind to be. Ask your self would it be easier to get out of a 3 ft deep hole or 6 ft? That’s what allowing negative thoughts are like. It is like digging a mental ditch and it gets deeper the more you allow too many negative thoughts or feelings go unchallenged. Avoid extreme words such as: always, never, you make me/you made me, should (big no no). Let go of “black and white” “all or nothing” ways of seeing a situation. Avoid assumptions and blaming, yourself or others. Identify three positive character strengths and remind yourself daily of them. Know thy self, know thy strengths (everyone has them). Never leave a negative statement go unchallenged. Up until this point all your physical training is in the bank. However, you can still make deposits in your mental training bank that can help you make big pays off for race day! See you around the beach!